We live in a society that pretends to value tolerance above all else. Yet there are entire people groups in America that can be exploited, discriminated against, and even killed—and no national outrage ensues. Take pregnant women. There is an entire industry set up to market abortions to pregnant women on the basis that they are not capable of parenting, and that giving up their child for adoption is somehow a deficient option. The pre-born child, for his part, can be killed for simply being “unwanted”—or, in cases like that of my son, for having a diagnosis that makes him disposable in the eyes of many Americans. Sam was born with Down syndrome, a chromosomal abnormality that causes those with it to often look and act differently than “typical” people. Unlike many children with his diagnosis who are discriminatorily aborted before they’re ever born, Sam’s birth mother chose to carry him to term and place him for adoption. 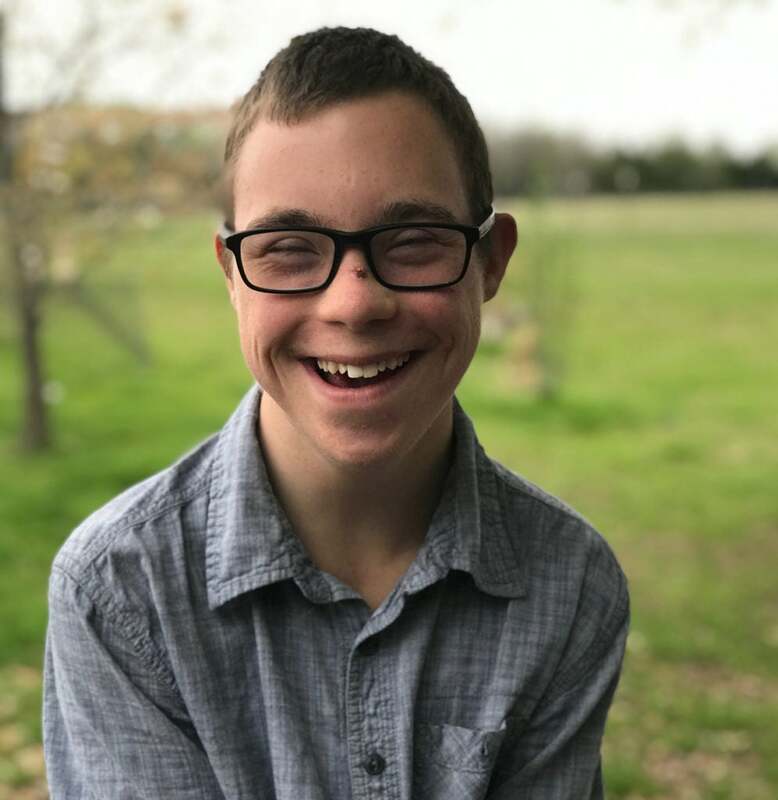 My wife and I adopted Sam, and we were ready to contend with the medical issues that sometimes accompany Down syndrome. Every child deserves this, and it is discrimination to think or behave otherwise. Sam was born weighing 4 pounds and 12 ounces at 34 weeks. He was a twin. But while his twin was physically healthy, Sam had some major challenges. During pregnancy, his mother used cocaine and drank—not in excess, but enough to affect her child. Along with that, one major effect of Down syndrome was that Sam was born with two holes in his heart, and one of those was very large. The large hole, called a ventricular septal defect, was about a third the size of his heart. This caused blood to flow back and forth between the chambers of his heart, limiting the amount of blood being pumped out to feed the body. This causes the heart to have to work harder than it should, resulting in enlargement over time. That’s what you’d expect from any muscle that works hard, but the heart needs to remain supple in order to work effectively. To too many in our society, people like my son are disposable. Another side effect of this condition is that fluid begins to fill around the heart and can fill the lungs. If left unchecked, this will eventually suffocate the person. To counteract this, Sam was put on diuretics to help his body flush the extra fluid, and he was put on fluid restrictions to keep too much fluid from coming into his body. Open-heart surgery was the solution to all of this. But in order to have the surgery, we had to get Sam’s weight up to 10 pounds so that he could be placed on the heart-lung bypass. This also would give the surgeon just enough room to get his hands inside that tiny chest and do his work. We did everything we could to get calories into Sam to help him grow without giving him more fluid than he was allowed. At times, we put straight canola oil into his bottle to try to beef him up. There were some powders that added calories without liquid, but you could only use one at a time or it would thicken the formula too much. We did everything we could to ensure Sam could have that lifesaving surgery. But Sam’s heart was enlarging too quickly, and his weight was plateauing. He wasn’t going to make it to 10 pounds. At this time, he was just below 8 pounds. Our cardiologist agreed that things were dire, so we convinced her to call the surgeon so that we could try to convince him to do the surgery now. Sam was going to die if he didn’t have this surgery—there was no more time to get him to 10 pounds. If we did the surgery, at least he would have a chance at survival. The surgeon agreed to try. Sam was going to die if he didn’t have this surgery—there was no more time to get him to 10 pounds. Sam had never known life outside the womb without oxygen tubes, apnea monitors, heart monitors, and all the wires that go with them. For four months, our home had been filled with a constant symphony of bells and beeps and the hissing of oxygen. We prepared ourselves and said goodbye to Sam, then handed him over for surgery, not knowing if we would see him again. Four days later, Sam came home with no wires, no monitors, no oxygen. It was incredible. By God’s grace, the surgery worked. Today, Sam is a strong, healthy 16-year-old. He is funny and stubborn. He can be the kindest, most sincere brother to his siblings, and he can also be a complete pain in the neck to them. He loves books and basketball, riding his bike, and swimming in the pool. He always wants to be with other people, and he’s never met a stranger he didn’t like. His smile lights up a room and he can make anyone feel loved. But to too many in our society, people like my son are disposable. Rather than experiencing human affection and parents who fight for them, a staggering number of children diagnosed prenatally with Down syndrome are wiped off the face of the earth through abortion. A staggering number of children diagnosed prenatally with Down syndrome are wiped off the face of the earth through abortion. Iceland boasts of having virtually “eliminated” Down syndrome. It didn’t eliminate it—it simply aborts every child who has it. Closer to home, Texas has succeeded in outlawing abortion after 20 weeks’ gestation—exception cases of “fetal anomaly.” People like Sam, according to the Texas Legislature, require a legal loophole guaranteeing the right to kill them before birth. But Sam isn’t an anomaly—he is a human being. On this World Down Syndrome Day, I celebrate Sam. I am grateful for him. He’s a young man that I am thankful for and proud to call my son, and I look forward to continuing to see what God has for him. LifeNews Note: Rev. Sean Martin is the national church outreach director for Human Coalition. This originally appeared at Daily Signal.